The surge in cotton prices continued on Thursday with the rates topping Rs 60,000 for a candy of 356 kg as farmers tended to hold back produce in the wake of higher domestic demand and rising global market. In Gujarat, Shankar-6 cotton was quoted at Rs 61,000 a candy, while in Maharashtra, the variety was quoted at Rs 60,000. 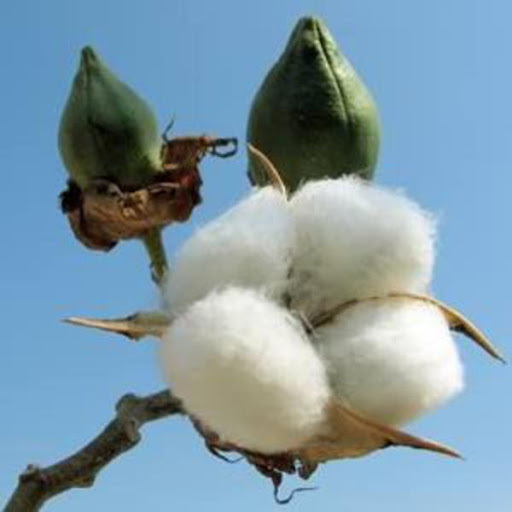 In Rajkot, raw cotton modal price or the rate at which most trades took place was Rs 6,750 a quintal against Rs 6,475 on Wednesday. Since Monday, raw cotton prices have increased over Rs 1,000 from Rs 5,585. “Looks like everyone out there in the market is speculating. Farmers are holding back on speculation prices will rise. Traders are bidding on hopes of further rise and buyers, too, seem to be in some sort of panic,” said Mr Anand Poppat, Vice-President of Saurashtra Ginners Association. According to a source in the milling industry, prices were literally on fire on reports of a meeting of Committee of Secretaries in New Delhi to consider raising the cap on cotton exports from the current 55 lakh bales (of 170 kg). “The agenda that the Commerce and Agriculture Ministries are batting for a further hike of 15 million kg got leaked and the surge began,” said the source. However, Mr Poppat denied that he had heard any such news from trade circles or in the market. “Global prices are just Rs 4,000 a candy higher than Indian price. If the Centre raises the export ceiling, then prices abroad will drop on hopes of higher supply. Only we have stocks currently. Then, there will be no gain in exporting,” Mr Poppat said. “Prices are up on sentiments of rumours of high export quota, rising global prices and these have been helped by a higher production figures put out by the Agriculture Ministry on Wednesday,” said Mr D.K. Nair, Secretary-General of the Confederation of Indian Textile Industry. On Wednesday, the Agriculture Ministry estimated production at 339 lakh bales against the 329 lakh bales projected by the Cotton Advisory Board. However, a section of the trade and textile mills are of the view that production is unlikely to exceed 310 lakh bales. The point out to arrivals up to February 5 to strengthen their argument. According to the Cotton Corporation of India, cotton arrivals were 205 lakh bales, 5.5 per cent higher than the same period a year ago. Last year’s production has been pegged at 295 lakh bales. “If we go by this, then production at the most will be 310 lakh bales,” Mr Nair said. Mr Kalpesh Posiya, a trader at Dhoraji market, 100 km from Rajkot in Gujarat, said arrivals have dropped to 100 bags (60 kg each) against peak arrivals of 300 bags. In Rajkot, arrivals this week have dropped to 650 tonnes from 750 tonnes at the beginning of the week. “Stocks with farmers are meagre. But they seem to be holding back on hopes that prices will rise further,” Mr Posiya said. “There is not much room for rise in the price. Any rise from now on will be minimal,” said Mr Poppat. The global market is on a high on demand from China and lack of supply.